European Reflections. Travel to Europe. European Culture. Europe and America. Smoking in Europe. Even though I'm not an experienced flyer, it did strike me that Europeans have different values when it comes to air travel. At least this was true of the European airlines we flew on this trip: Luftansa, Aegean, and British Airways. I began thinking about this when, as we were getting ready to leave Los Angeles, I heard almost nothing about turning off my cell phone. On American flights, seemingly endless announcements prevail upon us to turn off our electronic equipment, especially our cell phones. There must be at least a half dozen such pleas each time a plane gets ready to take off. But on Luftansa, I was reminded about this only once. I mentioned this to a more experienced traveler, and he agreed, admitting that he accidentally left his cell phone on for most of the flight. I wonder: Why don't the European airlines make a bigger deal about turning off your cell phone? Are they less worried that harried executives will try to sneak in a call? Or do they simply figure that people are smart enough to turn off their equipment without being prodded? The next obvious difference between European and American airlines is the matter of food and drink. These days, of course, our airlines flying within the U.S. don't even provide much by way of food and drink, unless you consider a sip of soda and five small pretzels a meal. (I'm not counting the lavish service in first class.) Now I suppose we Americans do better with longer flights, but I'll bet we don't reach the standard of cuisine found on European airlines. Even in coach, the food is tasty and plentiful. Wine is served gratis, not in tiny bottles for which one must pay five dollars, preferably in exact change. This is not to say, however, that I necessarily liked (or even tried) all of the food that was offered to me by my polyglot flight attendants. On our Aegean Airways flight from Frankfurt to Athens, the main dish was a tasty beef stew. But the salad – I suppose you call it a salad, since it came with a package of salad dressing – was a strange concoction of unidentifiable vegetable stuff. My wife, being a more courageous person than I, both tried some of this stuff and asked the flight attendant what it was. At this point the young woman's language skills faltered, but, with considerable prompting from my wife, she identified our edible plant life as a mushroom. 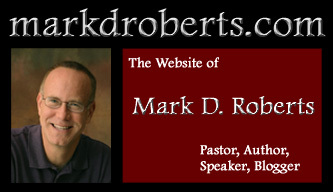 Before I sign off on this blog post, let me put out a request to my readers for your input. 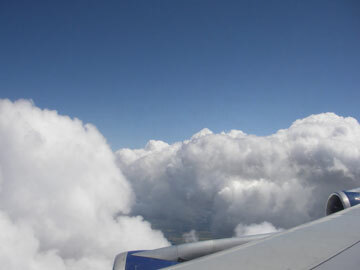 I expect many of you are more experienced air travelers than I am. So tell me: Am I right about the cell phone announcements? And the food? 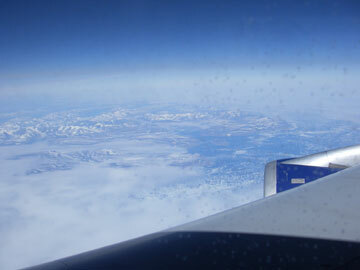 Are there other differences between American and European (or international) airlines? Yes, I know I didn't mention the multi-lingual announcements, but this seemed too obvious. Speaking of such announcements, let me close with a funny but slightly off-color story. Some years ago, friend of mine was flying on Swissair. As the plane touched down at an airport, the captain came on to thank the passengers for flying with their airline. In English spoken through a heavy German accent, he gave the usual spiel: "I hope you had a nice flight. Thank you for flying Swissair. Etc. etc." Then he came to the last line, in which he wanted to say, "Please consider us for your next trip." But at this point the captain's English faltered. He couldn't remember the English word for "trip." So, instead, he substituted the German word, and said the following. You figure out how it actually sounded in English. "Please consider us for your next . . uh . . . Fahrt." I realize that there are different classes of people in this world. I'm talking about socio-economic classes, you know, upper class, middle class, lower class, etc. But, in most of my life, I don't experience class distinctions. I live in a community of middle and upper-middle class people and, for the most part, class distinctions aren't terribly obvious. So, in most of my life, class doesn't matter much. But then there's air travel. Talk about class distinctions! It begins when you check in. Most people have queued up in slow moving lines, waiting to check their baggage and get their boarding passes. But business and first class travelers have special counters with short or non-existent lines. They zip through in minutes. Then there's the security screening. Once again, higher class travelers often slip through without much delay while ordinary folk have to poke along until it's their turn prove that they don't have bombs in their purses or weapons in their shoes. I know something about these airport sanctuaries because, I must confess, my wife and I flew business class in our last trip. It was part of our tour package, I hasten to add, nothing that we ever would have purchased on our own. 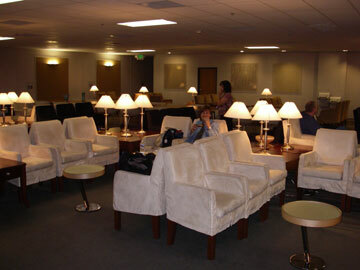 Honestly, I don't know if it's good or bad that I've experienced the paradise of the business class lounge. It was great at the moment, that's for sure. But in the future, when I'm back in my normal place with the teeming masses, I'll know what I'm missing. I may have been better off living in blessed ignorance. Now I run the risk of breaking the tenth commandment of air travel: "Thou shalt not covet your neighbor's airport lounge." When it's finally time to board your aircraft, once again class distinctions take center stage. Who are the first to board the plane, after those with physical handicaps or howling babies? The first and business class travelers. Then those who have code names like "Gold Star Travelers" and "Premium Hot Shots" go next. In fact, these latter folk are the poor souls who have to fly all the time but can't afford first class. I don't resent their priority treatment, since they've earned it through the hard knocks of endless air travel. For pity's sake, let them on the airplane first so they can try to stow their oversized carry-on items in the all-too-small overhead bins. Wheels in first, please. The bigger planes often have entry doors between the upper classes and coach so ordinary folk don't have to see what they're missing. But smaller planes, the kind I usually take, ensure that coach passengers feel the pain of classist airline society. When you board the plane, you get to walk through first class, looking with envy on those who are already seated in their large seats, extending their legs comfortably, and sipping some sort of complementary adult beverage. (Of course it's not really complementary. That champagne they're drinking actually cost a few hundred dollars.) Whilst first class travelers look upon the hoi polloi with a mix of scorn and pity, we humble folk get our first glance at the coach cabin, which always looks to me like a combination of a Los Angeles traffic jam and an open sardine can. I'm not really complaining about my aeronautical experience of class distinctions. Mostly, I'm just noting it with curiosity. I find it especially interesting to gauge my own reactions, to feel the sense of envy, or being left out. I want to be a person who feels grateful for his own blessings without getting stuck the emotional swamp of covetousness. I hope to be someone who can enjoy even a few pretzels and a Coke while I peer out of the plane window and look down upon the clouds. As far as I know, the view from first class isn't any better. I've been to Europe three times, and every time I feel the same sense of shock when I first step off the airplane and walk into the airport. Europe has a distinct smell. It's a smell I once associated with Denny's restaurants and the bad kids who hung out at "the bridge" near my junior high school. It's a smell that once permeated Greyhound buses and lingered in cheap motel rooms. It's a smell that's mostly been abolished in my home state of California, at least in public. It is, as you've no doubt guessed, the smell of cigarettes. Now I'm sure there are millions of Europeans who don't smoke. Yet I can't believe how many of them do. Of course I know millions of Americans smoke too, but I'll bet that Europeans outsmoke us by a wide margin, at least. If this is true, I wonder why. I did a little Net surfing to see if it's true that Europeans smoke more than Americans. In general, this relationship holds firm, with the exception of Sweden. Though there is some variation in the data depending on which study one reads, the basic stats have just under 20% of Americans smoking, and just over 30% of Europeans smoking. In general, three Europeans smoke for every two Americans. But, given the tendency for Europeans to smoke in public places, it seems as if the ratio is far greater in favor of European smoking. Once again I did a bit of web surfing to see why there aren't laws in Europe that limit smoking in restaurants and other public spaces. It turns out that these laws are often on the books, but are simply not followed by the people or enforced by the authorities. 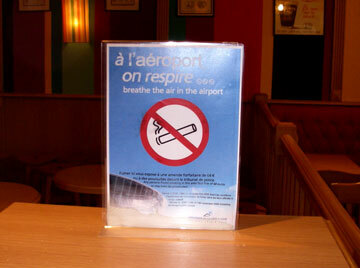 As one European anti-smoking activist said, "The culture in Europe regards smoking as a victimless, inalienable right." Why, I wonder, do Europeans tend to smoke more than Americans, especially given the tendency for Europeans to be more health conscious than Americans? I'll suggest a few answers to this question in my next post. I wonder why Europeans smoke more than Americans. My puzzlement is increased by the fact that Europeans tend to be more health conscious than Americans. For example, the obesity rate for the U.S. is about three times that of Europe (see David M. Cutler and Edward L. Glaeser, Why Do Europeans Smoke More Than Americans?, Figure 2; you can download a PDF here). Moreover, Europeans are usually more liberal than Americans, and in my experience, liberals are more apt than conservatives to restrict smoking and to demonize smokers. So, given Europe's health consciousness and liberalism, I would expect less smoking in Europe, not more. Thus my wonderment: Why do Europeans smoke more than Americans? If you have any pet theories of your own, I'd love to hear them. Please add them to the comments section of this blog entry. Meanwhile, I'll report in on three of my own ideas. Reason #1 is not my own. It's the conclusion of a recent study by two researchers, David M. Cutler and Edward L. Glaeser. According to Cutler and Glaeser, Europeans do indeed smoke more than Americans, a fact that is made even more surprising by the higher price of cigarettes in Europe and the larger number of anti-smoking regulations. So what accounts for this unexpected difference? "Almost one-half of the smoking difference appears to be the result of differences in beliefs about the health effects of smoking; Europeans are generally less likely to think that cigarette smoking is harmful." In my next post in this series I'll put up two additional reason why, in my opinion, Europeans smoke more than Americans. Today I'll suggest two further reasons. Reason #2: Smoking Seems to be Imbedded in European Socializing More Than It is in the U.S. If I'm correct, and socializing in the evening is much more common in Europe than in the U.S., and if smoking is an adjunct to that tradition, then it would make sense that more Europeans smoke, and that this practice is embedded within their culture. Millions of Americans, almost always of the conservative Christian variety, were raised to believe that smoking is not just unhealthy, but downright sinful. (Many committed Muslims also believe smoking is wrong.) Even though my church and family did not teach the view that smoking was necessarily sinful, I nevertheless intuited that smoking was wrong. Now I have no idea what percentage of the American population continues to hold this belief, but I wouldn't be surprised if it was 10% or more. 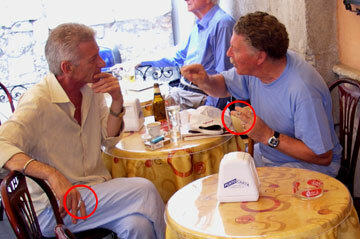 If so, then this helps to explain the difference between European and American smoking practices. A substantial number of Americans believe it is wrong at best, and downright sinful at worst. Moreover, the relatively recent increase of anti-smoking activism in America has forged an unusual coalition between secular liberals and conservative Christians. Though they might disagree on almost everything else, they passionately concur on the evils of smoking. Thus the legal and cultural pressure against smoking in the U.S. is stronger than that in Europe. Europe, of course, has much fewer conservative Christians than the U.S. But I was once surprised to discover that many evangelical Christians in Europe do not share the American disdain from smoking (and drinking). This is not to say that most European evangelicals smoke, of course. They don't. But they do seem to be less "agin it" than their American counterparts. It will be interesting to see if the growing Muslim presence in Europe leads to less smoking. I'm not a social scientist, or even a particular experienced European traveler. I've been there three times, for a total of six weeks. So I have no idea whether my analysis in this blog post will hold water or not. Yet I wouldn't be at all surprised if my reasons #2 and #3 do help to explain the differences between European and American smoking patterns, in additon to reason #1, which is based on sociological research. Both of my reasons have to do with culture, and culture is a powerful influence on human behavior. As the last leg of our European sojourn, my wife and I spent six days in London. We were there from July 1 to July 7. Though it was not our plan, we ended up there as history was being made. Well, I'm not talking about the bomb threats, though these were certainly newsworthy. Right before we arrived in London, car bombs were discovered in the city, and during our stay a burning jeep was crashed into the Glasgow Airport in Scotland. For a good part of one day Heathrow Airport was closed because of concern over a piece of abandoned luggage. That was a false alarm, but the threat of terrorist bombings was certainly a major concern while we were in London. Yet this is not the historic part. • Wimbledon tennis tournament just outside of London, which fought to remain afloat amid heavy rains. • The London premiere of Harry Potter and the Order of the Phoenix, which my wife and I just happened to stumble upon. We stuck around for a while, and I even spied Rupert Grint (Ron Weasley) and Emma Watson (Hermione Granger) in person, though from a distance. The whole event must have included 10,000 screaming teenage girls. Quite fun, but hardly historic. • The pound at a twenty-six year high against the dollar. Now this wasn't much fun at all for us travelers from the U.S. It wasn't hard to figure out prices. You just double the pound number to get the number of dollars (almost). I hated paying $8.00 for a sandwich that was worth about $4.00. • The start of the Tour de France in London. Yes, indeed, this most famous of bike races, this truly French bike race, began in London this year. It was not the first time this has happened. In 1974 and then again in 1994 the Tour included a British stage. No, they didn't change the name to Le Tour de France et Angleterre. Actually, that's just one small implication of the historic event. 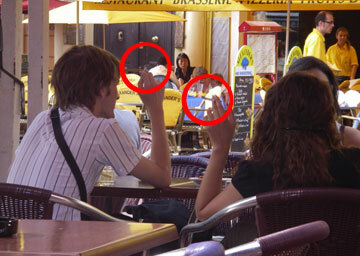 The fact is that on July 1, 2007, nobody was smoking in English pubs. Or at least nobody should have been. On that date smoking in pubs, and in most other indoor public places, was illegal for the first time in British history. And this means for the first time in hundreds of years. 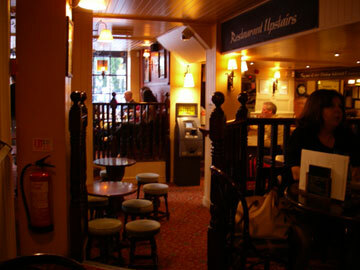 Pubs have been around in England for around a thousand years. The Trip to Jerusalem (no joke!) pub claims to be the oldest in the country, and it was founded in 1189 AD (see their website). Smoking was introduced to England sometime in the second half of the 16th century. There's a debate about the precise details. This means that people have been smoking in English pubs for over four hundred years . . . until July 1, 2007. I'm sure some folks still smoked in their favorite pubs on that date. There had been some comments on the news about people committing acts of civil disobedience. But during my week in London, I didn't see anybody breaking the law. The smokers had gathered on the outside, sitting at small tables. In once case I saw two men sitting outside as they enjoyed an ale, a smoke, and fervent conversation, while it was raining. Now that's commitment! For what it's worth, I'm not a smoker, but I'm not a fervent anti-smoker. In fact, if I wrote the laws, I'd give the pub owners the freedom to decide whether their establishments would be smoking or non-smoking. I would look for non-smoking pubs, as would many others, I expect. In time, the market would decide what's works best, and I imagine there would be smoking pubs and non-smoking pubs. Nevertheless, I was glad to be able to enjoy my fish and chips (translation: "French fries") in a smoke-free environment. Now, if only those chaps would stop arguing in such loud voices, I could have a truly pleasant meal. Perhaps in time they'll pass a law outlawing shouting. Who knows? One of the most beloved of plays written for children is Peter Pan, by J. M. Barie. It began with stories that Barie told the children of a close friend, Sylvia Llewelyn Davies. One of these children, Peter, gave Peter Pan his first name. His last name came from Pan, the god of the forest. Kensington Gardens are wonderfully preserved today, filled with trees, flowers, and people of and shapes and sizes. 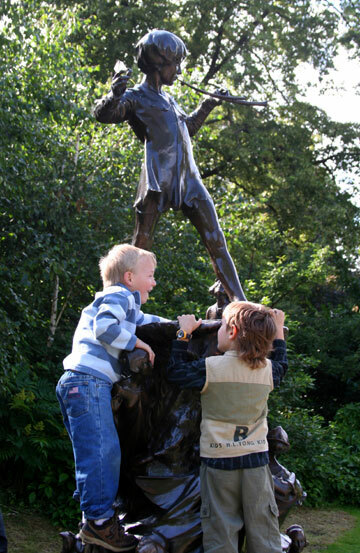 One of the highlights of the Gardens is a statue of Peter Pan. When I visited this statue last month, I wasn't surprised to see that it a favorite of children. Shortly after I snapped the picture to the right, the parents of the boy in the blue and white striped shirt determined that it was time for the family to move on. "C'mon, Jason, they called, we've must be going." But do you think Jason was willing to leave Peter Pan behind? Not on your life! His parents kept calling, but Jason wouldn't climb down. As I watched this spectacle, I thought to myself, "Now there are some parents that didn't think this through very carefully. They brought their son to Peter Pan. They let him climb all over Peter Pan. And now they think he's going to leave? Haven't they ever seen the play? Don't they know the power of Peter Pan." More than a century after J. M. Barie first wrote about this magic boy, he still charms. So if you're ever in London, by all means visit Kensington Gardens. Be sure to find the statue of Peter Pan. But if you've brought your young children, look out. In my last post I talked a bit about Peter Pan, who was "created" in Kensington Gardens, Londan, through the creativity of J. M. Barie. Today I thought I'd share a few more fun pictures from this lovely park. 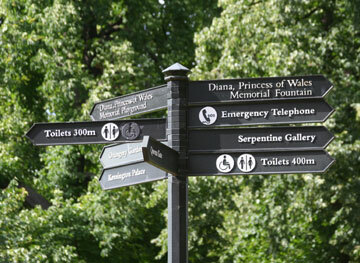 There are lots of signs throughout Kensington Gardens, which is especially helpful for tourists. But my favorite part of the signs was the detail attached to those indicating where the toilets were. We'd say "restrooms," of course. If you look closely at the picture to the right, you'll see that the sign specifies the precise distance to a given toilet. In one direction you've got a walk of 300 meters. It's 400 in the other direction. How helpful! Especially if, as you're looking at the sign, you're feeling particularly desperate to find the nearest toilet. Those British are so thoughtful. 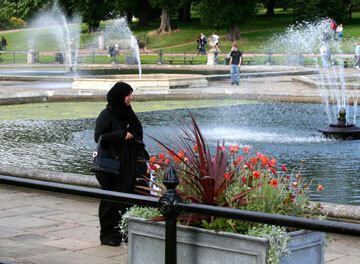 I was especially impressed by the ethnic diversity throughout London, including Kensington Gardens. I wonder if London is the most international, multi-cultural city on Earth. Though I saw plenty of Anglos, I was amazed by the number of Indians, Africans, Middle-Easterners, and Asians. Among the Muslim women, some wore simple scarves, while others were dressed in complete burkas, with only their eyes showing. In the photo to the right, the woman is not wearing a full burka, since her face is visible. In days gone by, the world was ruled out of London. Today, the world has come to Longdon.